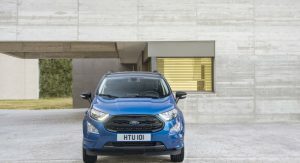 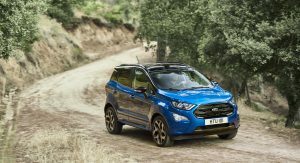 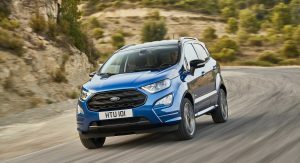 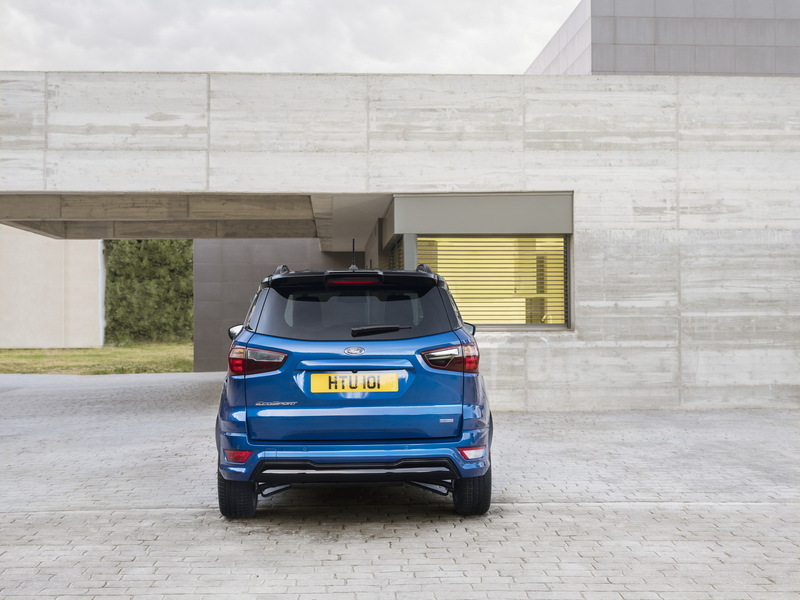 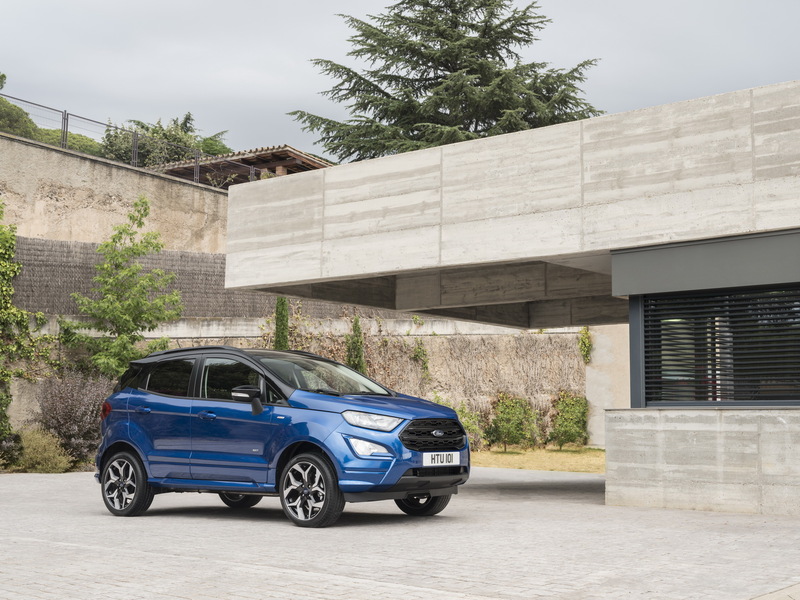 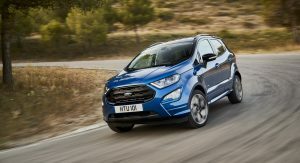 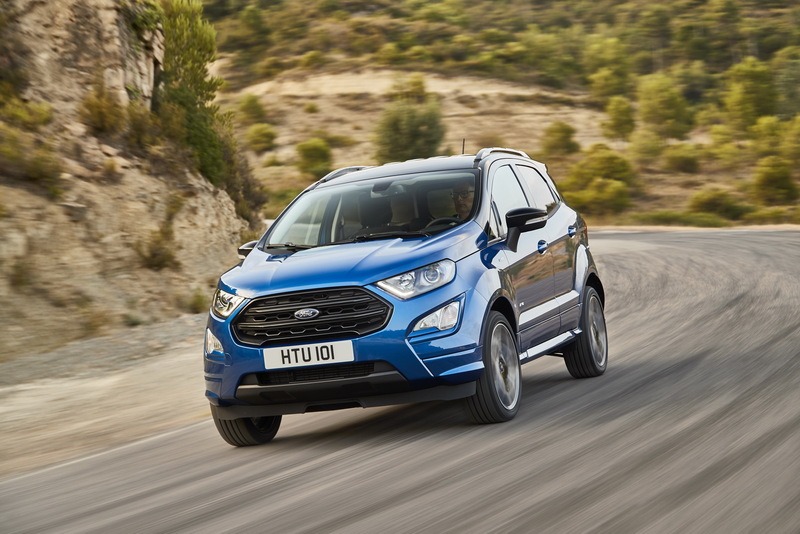 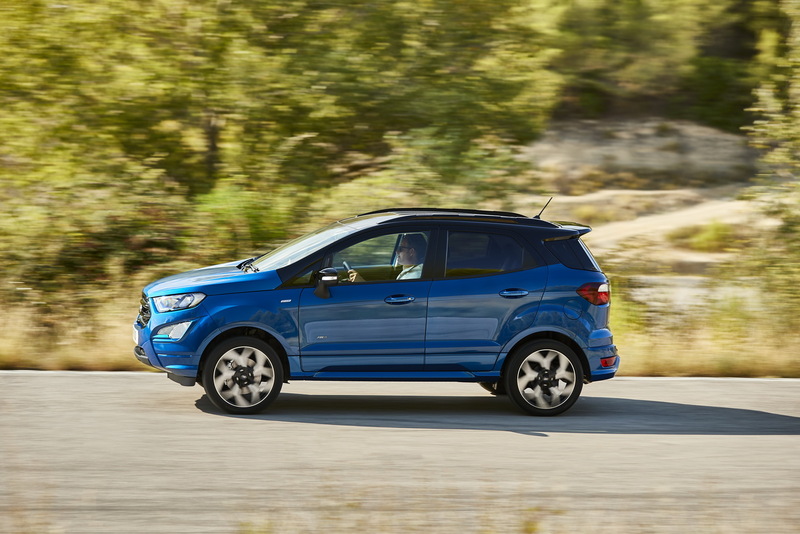 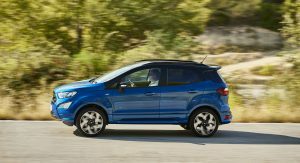 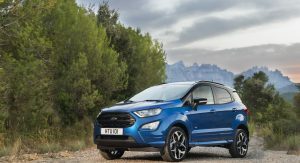 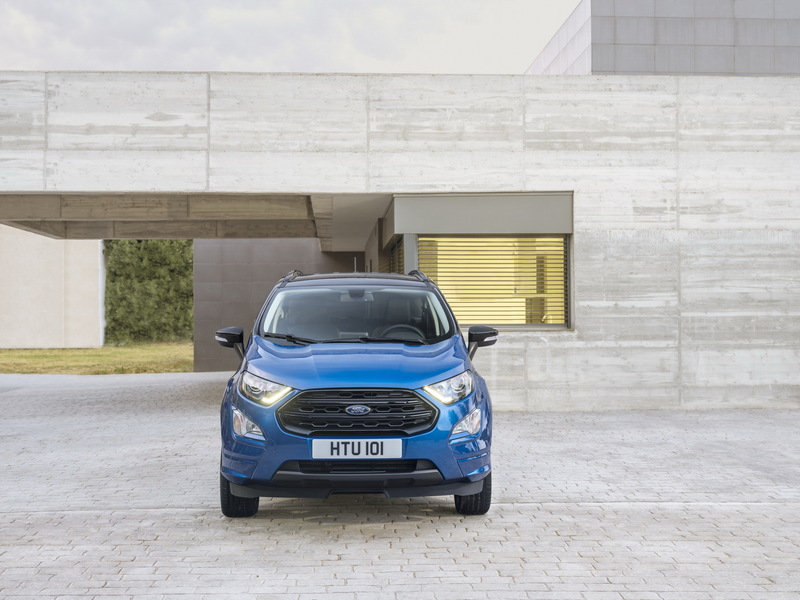 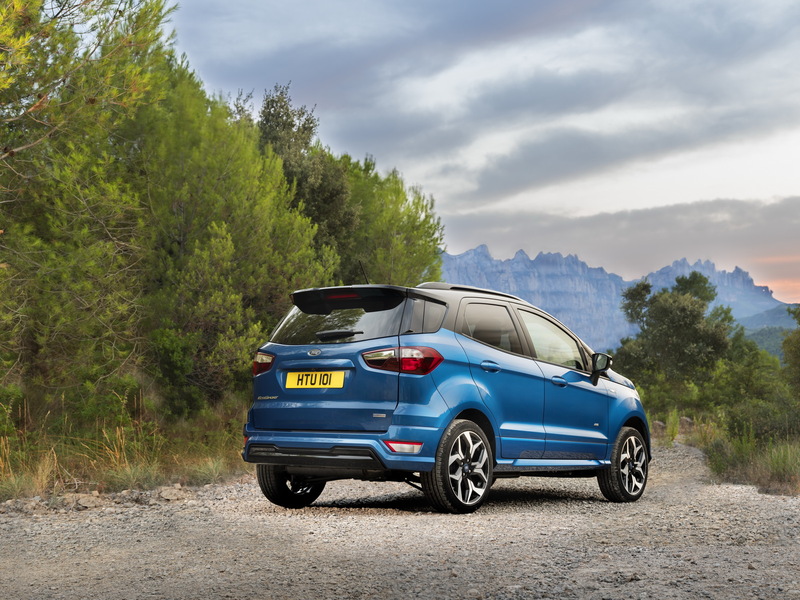 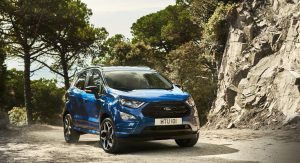 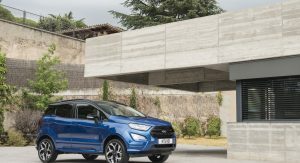 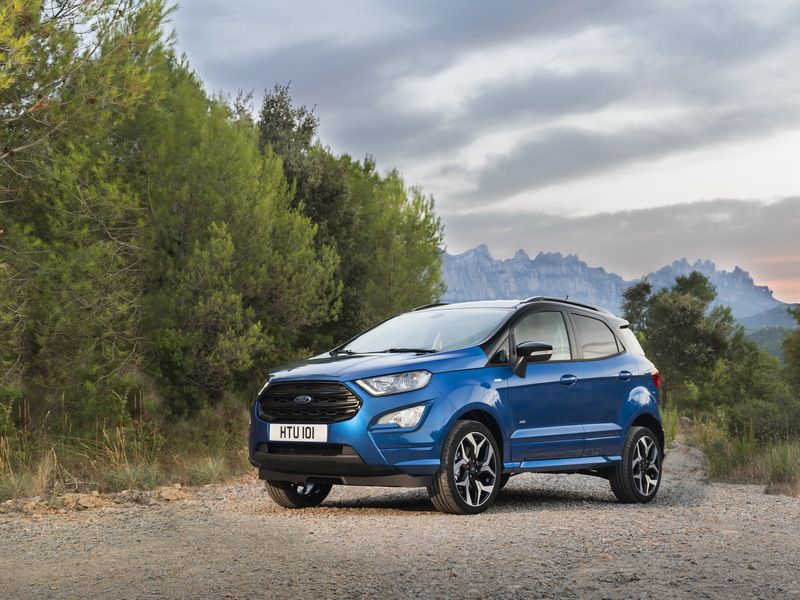 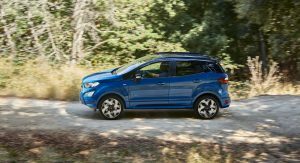 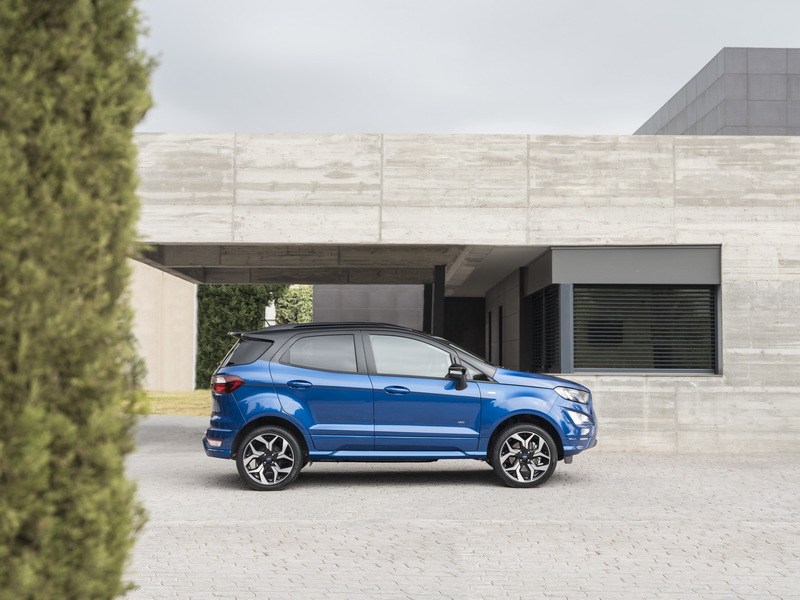 Ford unveiled the Euro-spec version of the new EcoSport compact SUV, which now comes with an overhauled design inside-out and a refreshed range of powertrains. 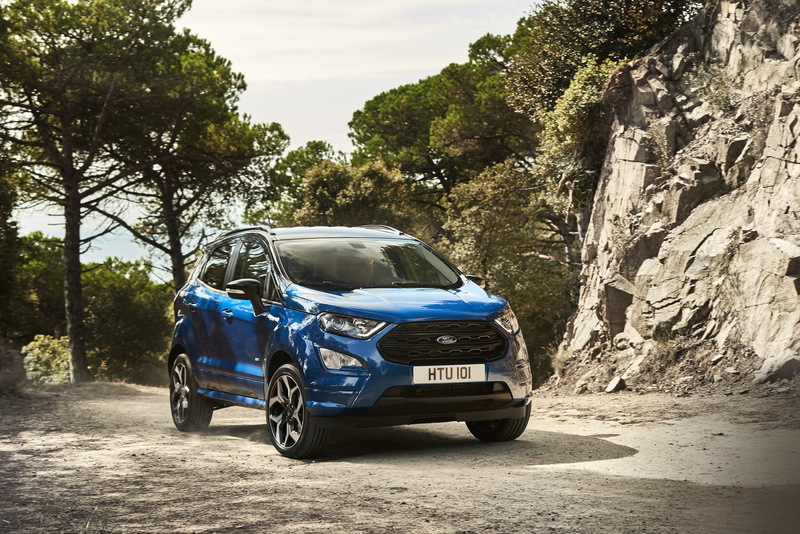 Set to make its debut at the Frankfurt Motor Show, the new Ford EcoSport comes with a more refined front fascia and a completely new interior which follows the example set by the latest Fiesta. 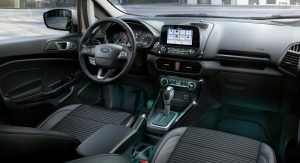 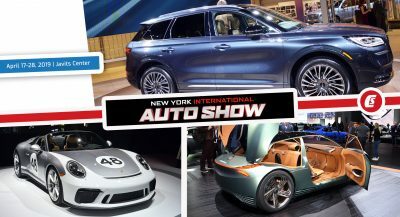 Ford has also introduced to the range the sporty ST-Line trim level, the company’s latest technologies and an all-wheel drive option that comes with the also new 1.5-liter EcoBlue diesel engine. 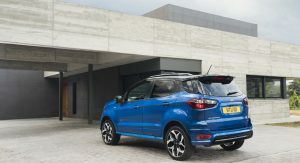 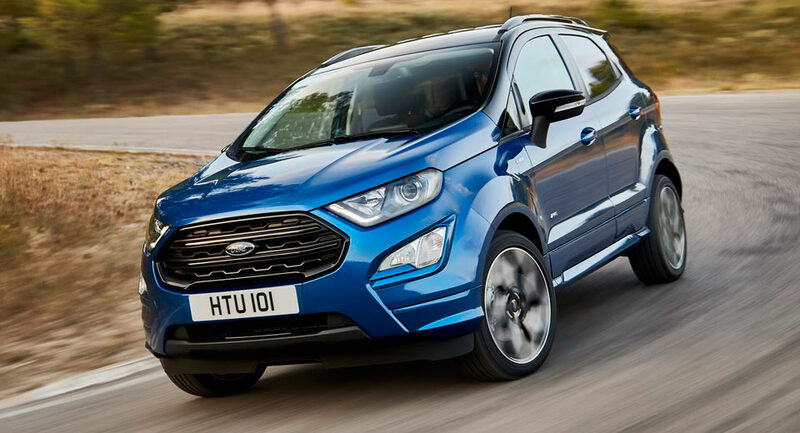 This all-wheel drive EcoSport features the 125PS version of the 1.5-liter diesel unit paired to a six-speed manual gearbox, offering 300Nm (221lb-ft) of torque, 4.5lt/100km (62.7mpg UK) of fuel economy and 119g/km of CO2 emissions. 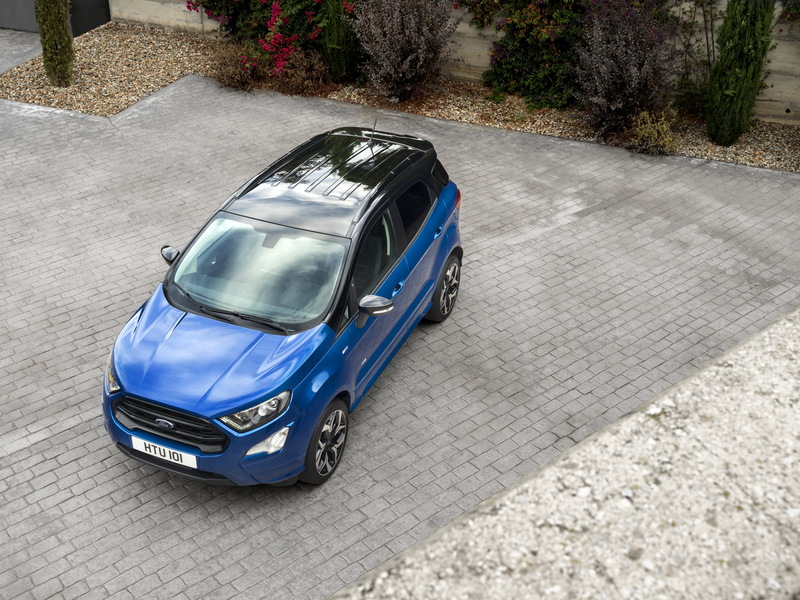 The same 125PS diesel engine will be offered with front-wheel drive, further lowering the CO2 emissions and improving fuel efficiency from mid-2018. 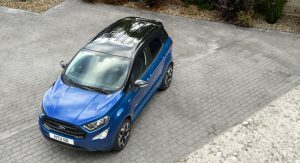 A lowered-powered 100PS of the 1.5-liter TDCi combined with front-wheel drive and a six-speed manual will be available from launch. 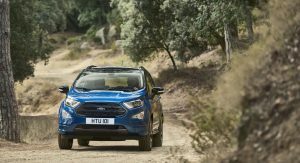 The petrol range will be comprised by three power versions of Ford’s 1.0-liter EcoBoost three-pot unit, featuring 140PS, 125PS and 100PS. 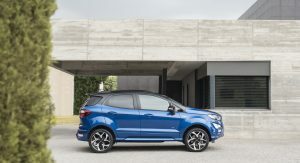 All versions will be paired with a six-speed manual and front-drive, with customers able to opt for a six-speed automatic in the 125PS version. 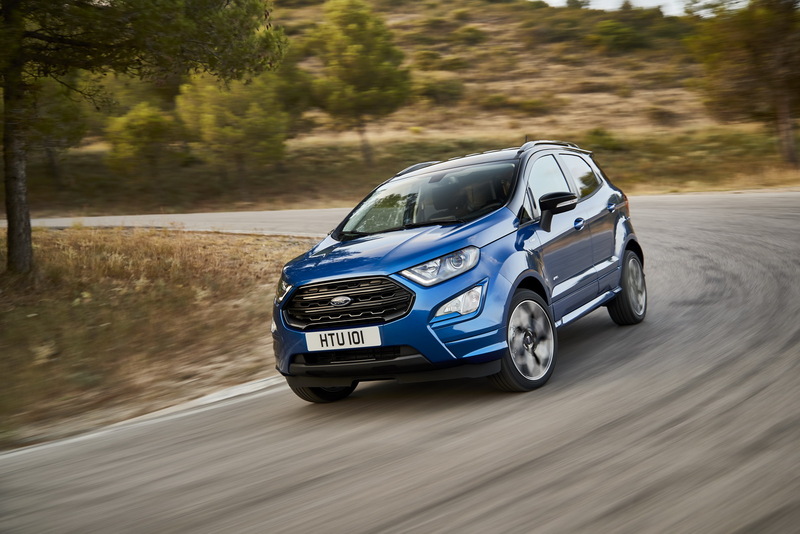 Ford points out that the Euro-spec EcoSport will get a suspension specifically tuned with European customers in mind, featuring optimised springs, dampers, spring aids, steering gear, rear axle twist beam, Electronic Stability Programme settings and steering assistance profiles. 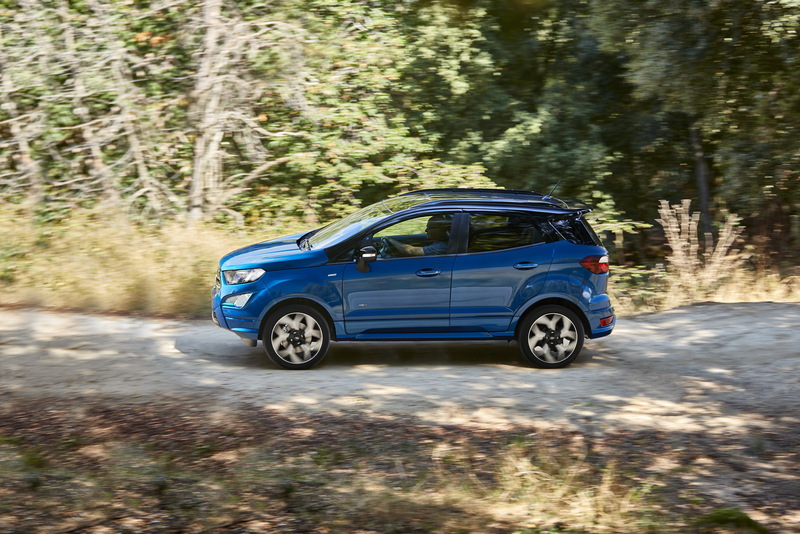 The exterior color palette includes 12 options, including the Lightning Blue, Ruby Red and a vibrant metallic orange shade called Tiger Eye. 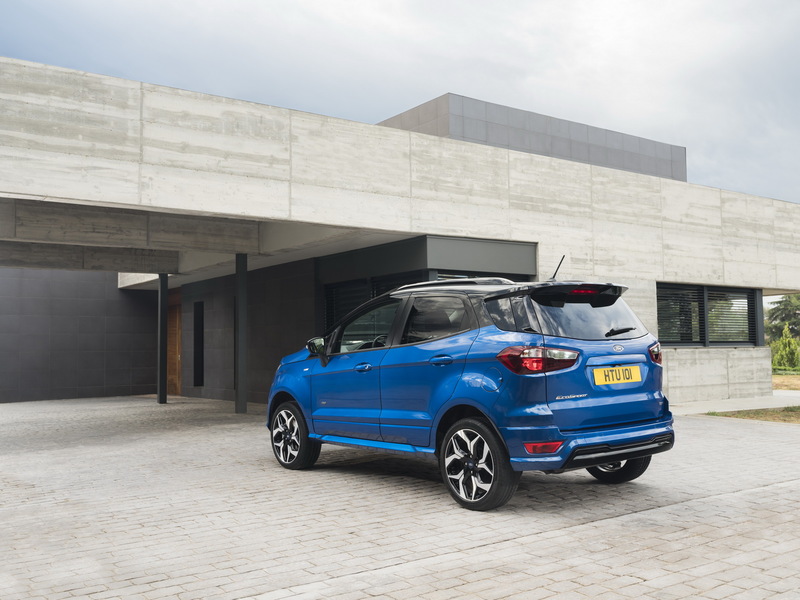 Those who want an extra kick of personalisation can opt for the new contrasting painted roof color option. 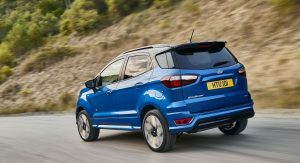 New 17- and 18-inch alloys are offered in various finishes, while Ford is also giving the option of a boot-mounted spare wheel. 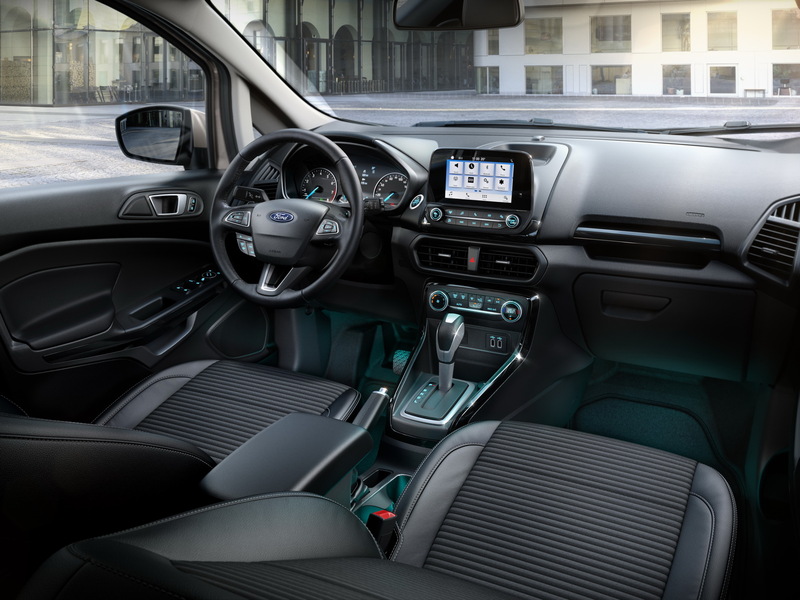 The latest SYNC3 infotainment system will be offered in 4.2-, 6.5- and 8.0-inch touchscreen displays while the instrument cluster can also be specified with a 4.2-inch color screen. 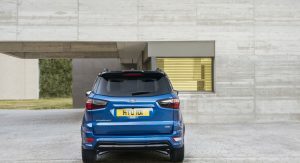 A 10-speaker B&O audio system along with cruise control, rear view camera and blind spot detection are some of the features on offer. 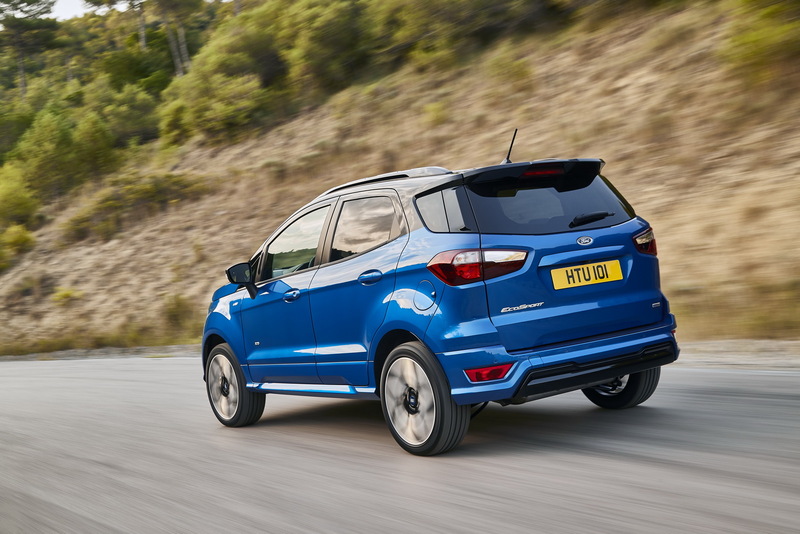 Sales of the new Ford EcoSport compact SUV are expected to start later this year. 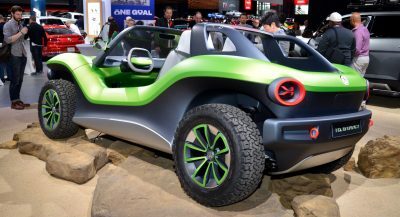 Well it looks better than the original but still it doesn’t have a chance against the competitors. 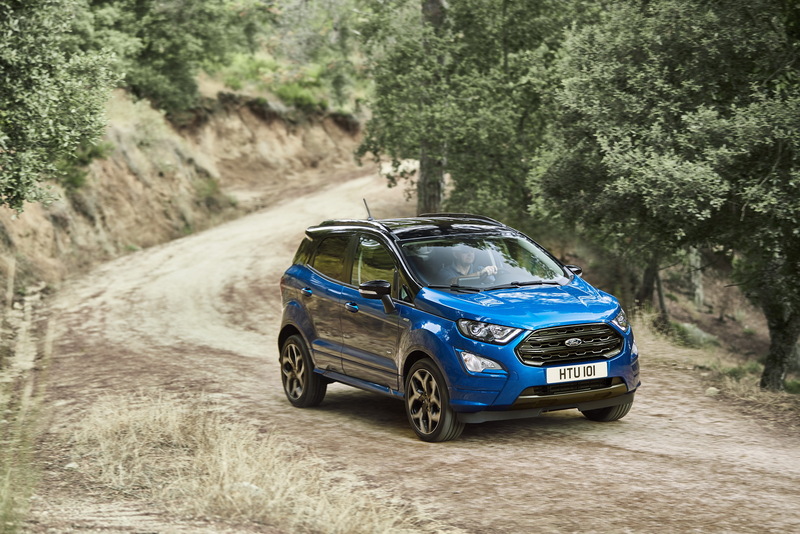 It still looks too “South American”. 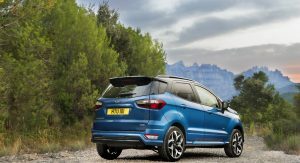 One of the most gawky and badly proportioned vehicles on sale at the moment. 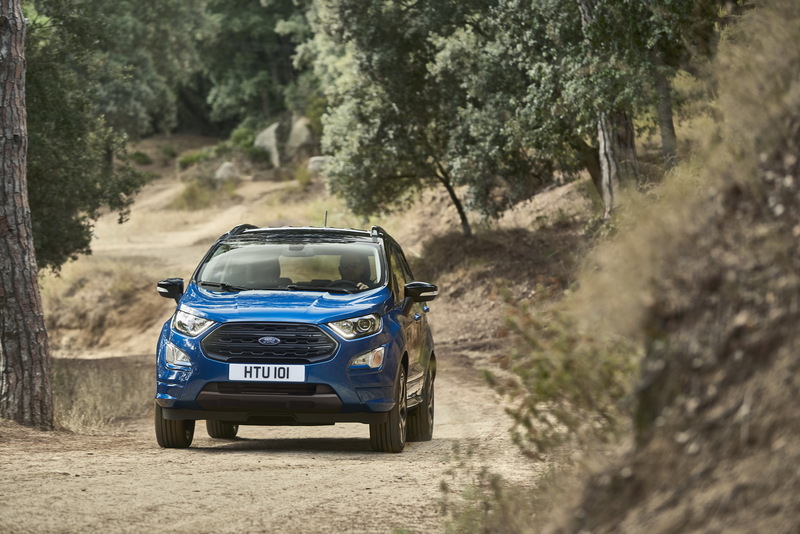 The front fascia is an improvement but it doesn’t suit the rest of the skinny body. 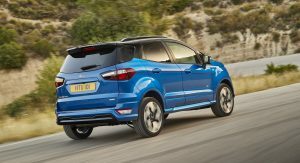 Very nice and credible refresh Ford! 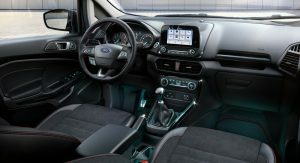 This just might do the trick until a full redesign is done..
Ugh! 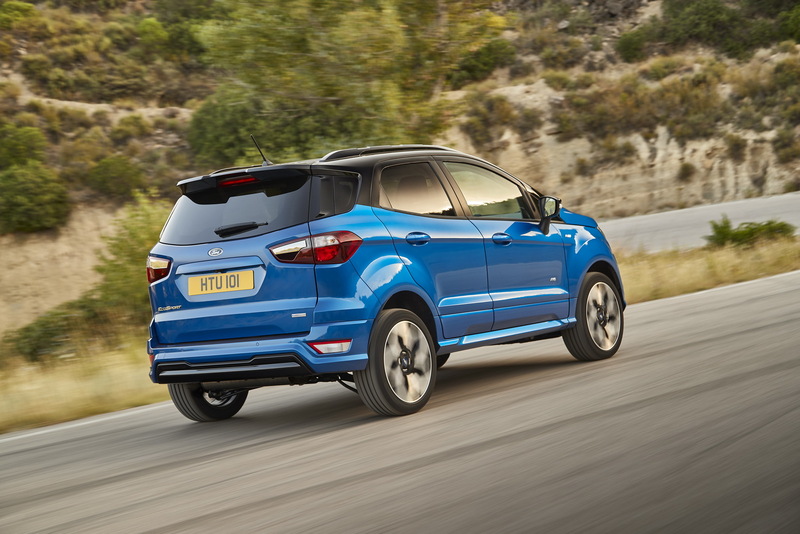 Enough with this Ecosport, it has always been an ugly car and the more they try to fix it the worst it gets. 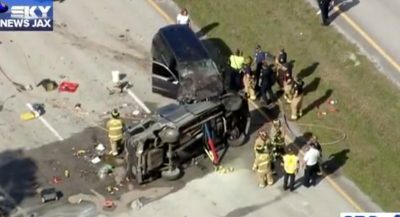 THE BLACK ROOF LOOKS AFTERMARKET WITH THE PAINT ABRUPTLY STOPPING AT THE BOTTOM OF THE A PILLAR. 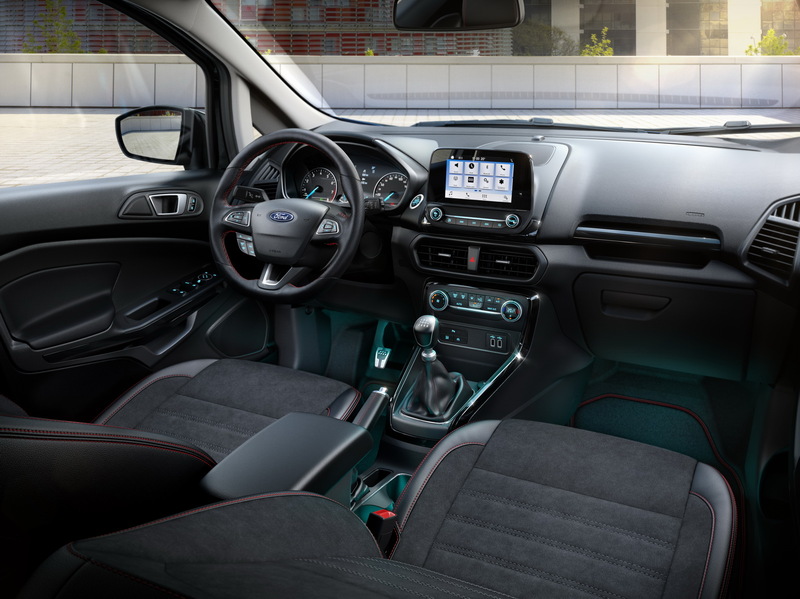 Looks like it was designed for the third world. 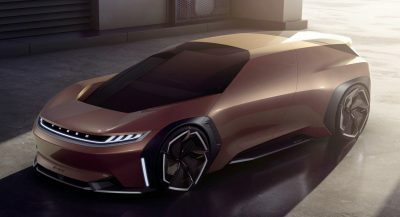 It has some nice lines, some nice angles but also has some bad ones.